Recognizing and treating celiac disease can help reduce the economic impact of healthcare costs, according to an analysis from members of the Celiac Disease Center at Columbia University Medical Center. Responding to the findings, Peter Green, M.D., professor of Clinical Medicine and Director, Celiac Disease Center at Columbia University Medical Center says, “We now have evidence that the increased awareness and diagnosis of celiac disease would benefit not only the patients but would result in health care costs savings. There needs to be greater physician education in the various modes of presentation and manifestations of celiac disease and more use of the widely available screening blood tests that detect the disease." 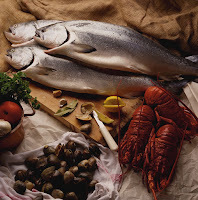 The study, published in Clinical Cancer Research, showed that men who consumed the highest amount of omega-3 fatty acids had a 63 percent risk reduction of aggressive prostate cancer when compared to men with the lowest amount of long chain omega-3 fatty acids. DVT (deep vein thrombosis) can be fatal. Knowing who is at risk for DVT and finding ways for prevention can save lives. DVT can develop in the lower or upper extremities. Last September, the Office of the Surgeon General launched a DVT awareness campaign in collaboration with the National Heart, Lung, and Blood Institute (NHLBI). Studies are underway to determine which drug interventions can stop those at risk from developing DVT - blood clots in the deep large veins that can travel to the lungs or brain, and lead to death. Eczema is commonly associated with food allergies, especially in children. The results of a new study suggests that though one in five children now have eczema, there is no link between diet and eczema in children. The researchers of the study emphasize that eliminating certain foods from the diets of children in an effort to control eczema may cause more harm than good, unless allergy to food is proven. The study from the German Institute for Quality and Efficiency in Health Care (IQWiG) says most infants and children with eczema will be rid of the skin condition by the time they are teenagers, while for others eczema may persist throughout life. Green spaces, such as parks and recreation areas may go a long way in helping children fight obesity. When green spaces are found in proximity to homes, children remain more active. A recent study addresses just such an approach, that may help reduce the rising incidence of chldhood obesity by simply developing green spaces for children to play. Tracie A. Barnett, Ph.D., lead author of the new study says,” Although obesity has many causes, this relatively sudden and steep increase suggests that the drivers of the obesity epidemic are largely environmental rather than biological or genetic in nature. There was a strong association between walking and the number of nearby public open recreational spaces, including neighborhood parks, playgrounds and sports fields." The study results were presented at the American Heart Association's Conference on Nutrition, Physical Activity and Metabolism. Emotions are important for maintenance of physical health. Until recently, the link between negative emotions and poor health has only been studied in industrialized countries. A new study shows that positive emotions are important for good health throughout the world, especially for those who lack basic needs. The association between poor health, especially for those who are impoverished, became evident when researchers from the University of Kansas decided to investigate the link between negative emotions and poor health in an analysis of people worldwide – many of whom lack basic needs. The study, delivered at the 2009 annual American Psychosomatic Society in Chicago, presented data from the Gallup World Poll, which included a sampling of 95 percent of the world’s population, and included 150,000 people. A new study of the disease fighting properties of turmeric shows that developing compounds from the main ingredient in turmeric may help humans fight a variety of diseases, from cancer to Alzheimer’s disease and more. Researchers have discovered exactly how turmeric has the astonishing ability to fight disease. Scientists recently got a look at the main ingredient in turmeric by using a special technique called solid-state NMR spectroscopy. 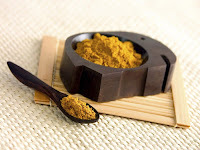 Using spectroscopy, the scientists were able to watch curcumin, the main ingredient in turmeric, enter cell membranes. The discovery unveiled why the Indian spice turmeric has been used for healing for centuries, earning the name “holy powder”. The main ingredient in turmeric is curcumin. Curcumin, when introduced into the body, enters the cell membrane. Once there, researchers say curcumin in turmeric has the ability to keep cell membranes in order, acting as a disciplinarian. The result leads to increased resistance to infection and cancer. Marriages that are stressful are found to increase the risk of heart disease in women. A new study reveals that the risk of depression, leading to increased risk of heart disease, affects women, but the same results were not found in men who experience stressful marriages. According to the study author, Nancy Henry, a doctoral student in psychology, "The gender difference is important because heart disease is the number-one killer of women as well as men, and we are still learning a lot about how relationship factors and emotional distress are related to heart disease." The researchers studied 276 couples who were married an average of 20 years. The couples were aged 40 to 70. Everyone in the study filled out questionnaires designed to measure the quality of the couple’s marriage, warmth, friendliness, emotional support, and communication The questionnaires elicited information about how the couples might disagree about raising kids, in-laws and finances. The National Sleep Foundation poll shows that lack of sleep is directly related to other unhealthy practices. Without sleep, quality of life declines, eating habits get worse, and work quality suffers. Since 2001, Americans who eight hours of sleep per night has dropped 10% - from 38% to 28%. Americans getting less than six hours of sleep each night has increased from 13% to 20%. The findings suggest loss of job, and financial worry is causing Americans to lose sleep, affecting the health of one-third of Americans. Too many middle-aged and seniors lack adequate nutrition, according to data extracted from the Multi-Ethnic Study of Atherosclerosis (MESA). The study shows that declines in food intake associated with aging deprive many older people of essential micronutrients needed for good health. Many older Americans turn to supplements to provide nutrition, but according to the MESA findings, older Americans still fail to get reccomended nutrition. According to the findings, published in the Journal of the American Dietetic Association, many older Americans are not getting adequate amounts of essential vitamins and minerals, such as calcium, vitamin C, magnesium and potassium. Some are exceeding recommended guidelines with high dose supplements, while potassium, essential for normal cell function, is lacking both from food and supplements in our older population. The study included 6200 participants from four ethnic groups.